Oklahoma Connection | Hawley came to Oklahoma City as a pastor in 1892. At Oklahoma’s 25th celebration of statehood, Rev. Hawley was among 25 men honored in their respective fields, his for outstanding contributions in the development of the state for Protestant missions programs. An eminent clergyman in Oklahoma Territory, Frederick William Hawley was born in Illinois and served as the first pastor of Oklahoma City’s First Presbyterian Church from 1892 until 1896, when he became the superintendent of the Oklahoma and Indian Territory synods (1896-1906). 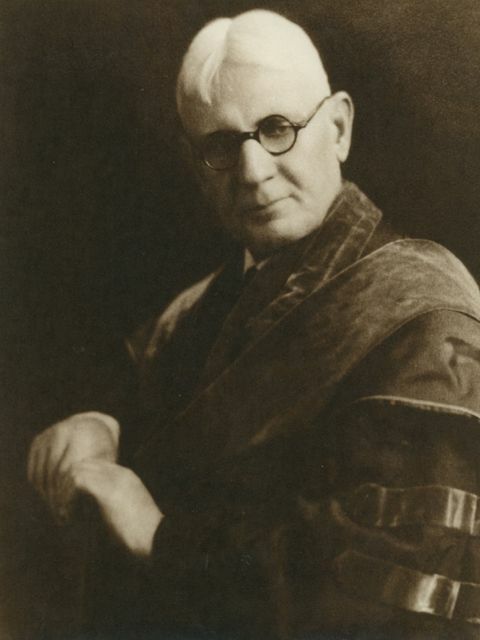 He became the president of Henry Kendall College (now the University of Tulsa) and remained there from 1911 to 1915. He was appointed president of Park College in Missouri from 1915 to 1936 and returned there in 1944 to serve as acting president until 1945.